Which is the most beautiful and unspoilt of England’s historic counties? It is surely Westmorland. The Industrial Revolution, which brought factories and urban sprawl to much of the country, largely passed Westmorland by. This county, a lovely land of mountain and moor, lake and fellside, is still much as it was centuries ago. 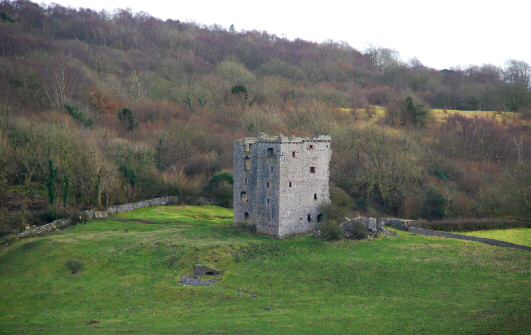 Lady Anne Clifford, the famous restorer of the castles and keeps of Westmorland in the seventeenth century, knew the worth of the county in which she owned so much and in which her ancestors had been High Sheriffs. 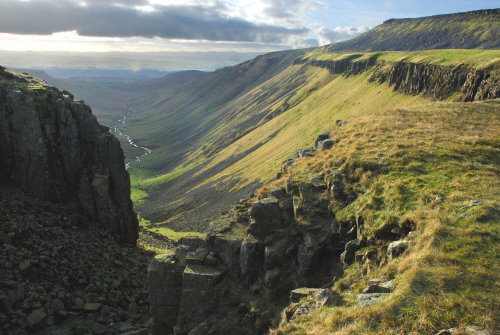 She defiantly said to King James I: “I would not part with Westmorland upon any condition whatsoever.” Anyone familiar with this glorious corner of England would understand her feelings instantly. So why do we hear the word ‘Westmorland’ so rarely nowadays? Have we parted with it at last? The planners who redrew the map of Britain in 1974 must have wanted us to part with it. The old Westmorland County Council was abolished and, for local goverment purposes, Westmorland folk found their services provided by a new administrative county called ‘Cumbria’. At the stroke of a pen it seemed as if centuries of history had been erased, and that Westmorland was no more. Westmerians – the indigenous people of Westmorland – were, it seemed, being asked to start from scratch as Cumbrians. A W Wainwright, the author of the famous Lakeland walking guides, drew a splendid map of Westmorland on its ‘last day’. It seemed as if Westmorland was vanishing from the face of the earth, never to return. But of course it hasn’t gone at all. As one of England’s 39 historic counties, it cannot be abolished. Yet it does suffer from a severe identity crisis these days, getting few mentions in the national media and being a name that many youngsters from other parts of the country have perhaps never heard of at all. Maybe it’s time for a Westmorland renaissance, time to sing the praises of England’s loveliest shire. If we don’t trumpet the virtues of glorious Westmorland, how will people ever come to appreciate this peerless county and understand the rich culture and history which are integral to it? Many people need a refresher course on Westmorland and its identity. Perhaps the best way to start is by establishing exactly where the boundaries of Westmorland lie. Westmoringaland means ‘the land to the west of the moors’. This refers to the moors of the north Pennines where the ancient county begins. In the east Westmorland is bounded by The Calf, highest of the Howgill Fells, while in the north of the county the boundary is marked by the great mass of Cross Fell and by the beauty of the verdant Eden Valley. As Westmorland becomes part of the Lake District, the broad sweep of Ullswater forms its north-western border. The county boundary then marches across the central fells of Lakeland, taking in Dunmail Raise, the head of Easedale, mighty Bow Fell and Crinkle Crags before arriving at the Three Shires Stone where, amid breathtaking grandeur, the ancient counties of Westmorland, Cumberland and Lancashire converge. To the south-west, Lake Windermere becomes Westmorland’s county boundary while in the south, past the Lyth Valley where the damsons grow, is Westmorland’s tiny coastline at Arnside on the Kent estuary. The whole forms a coherent geographical entity. But what does it contain? It isn’t easy to form a list of Westmorland highlights – they are too numerous and varied – but the county’s collection of charming market towns is an obvious starting point. Kirkby Lonsdale has a strong claim to be the most picturesque of all. Set beside the graceful Lune as it meanders towards Lancaster, Kirkby is an enchanting ensemble of Georgian inns and winding alleys set around a lovely market square. The parish church, set high upon a knoll above the river, is a short walk from Ruskin’s View – reputedly one of England’s finest vistas, a great meander of the Lune through pastoral scenery with the fells behind, just upstream of famous Devil’s Bridge. Perhaps the best time to visit Kirkby is during the annual Victorian Fair around Christmastime, although the town has recently become noted for the colourful way it marks St George’s Day every 23rd April. 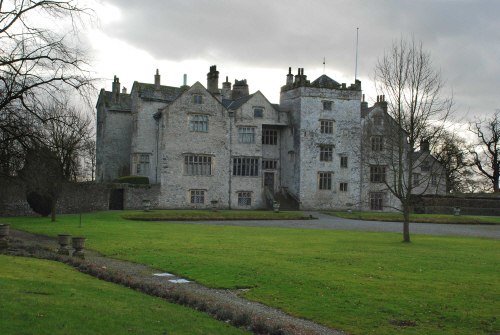 Kendal is the largest settlement in Westmorland, the ‘Old Grey Town’ with its distinctive slate houses and gaunt castle ruins set along the banks of the river Kent. Here the name of the ancient county is never far away, with the Westmorland Gazette being printed in the town and the Westmorland Shopping Centre being at the heart of the local retail trade. Kendal is the cultural capital of Westmorland too, with the Brewery Arts Centre attracting visitors from near and far to its varied programme of events. Kendal is a place where industry and beauty merge imperceptibly, a regional centre which has the feeling of the county’s unofficial capital about it. Yet to the north Appleby vies with Kendal to be Westmorland’s foremost township. Appleby is the ancient county town which is nowadays widely associated with the colourful Romany horse fair that takes place just outside the town every summer. In May and June roads throughout the north play host to colourfully painted gypsy vardoes, horse drawn wagons that wend slowly towards Appleby where young lads ride the horses straight down the middle of the river Eden in surely one of the most spectacular – and peculiar – equestrian sights anywhere in England! Other towns, too, can claim to be among Westmorland’s elite: Kirkby Stephen with its long sandstone parish church stays in the memory of many while Ambleside and Bowness are both bustling tourist haunts by the banks of Lake Windermere, each of them an eccentric collection of inns, lanes and charming alleys. 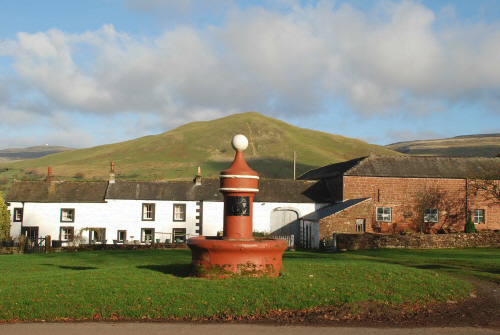 Westmorland’s little towns are historic yet vibrant, thoroughly adapted to the modern world yet quite unspoilt. In this fair county, we would expect no less. To some, Westmorland means remote farms of slate and whitewash, set in clumps of trees at the head of some Lakeland dale where vast shadows of clouds pass unendingly across the mountains. 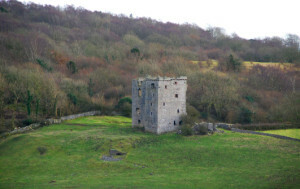 To others Westmorland means the castles and pele-towers which once guarded against Scottish incursions: Brough, Brougham and Pendragon, Appleby and Kendal being foremost among them. 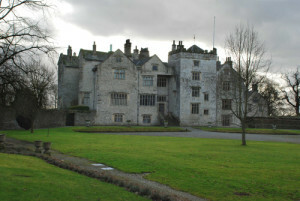 Some, like Levens Hall and Sizergh Castle, are nowadays magnificent country houses. Others are spectacular crumbling ruins, tenantless but for pigeons and spiders and nettles. But it isn’t just the built environment that makes Westmorland memorable. Westmerians have their own peculiar culture, unlike anywhere else. At Grasmere and Ambleside the ancient festival of rush-bearing can be seen every summer, in which children carry rushes ceremonially to the parish church in a echo of the days when all churches had their floors strewn with rushes to retain warmth and absorb dirt. Westmorland is home to the famous summer shows, most famously at Grasmere Sports where the archetypal Lakeland events are centre stage: Cumberland and Westmorland wrestlers tustling in their embroidered outfits, and the amazing spectacle of the fell-runners pounding up what seems an almost sheer hillside, before careering downwards at breakneck speed. Competitive hound trailing across the hills is a Westmorland staple, the hounds crashing through gorse and heather and leaping drystone walls in their pursuit of an aniseed trail. Numerous small shepherds’ meets occur in the out of the way valleys of Westmorland at the end of every summer, where the local hill farmers come together to strike bargains and relate news. Some of these hill shepherds, speaking in the distinctive Norse-derived dialect of Westmorland, remember the ancient Celtic numerals used for counting Herdwick sheep: “Yan, tan, tether, pether…” Attend a shepherds’ meet for a taste of the real Westmorland. Yet the crowning glory of Westmorland is its mountains. Anyone who has scrambled along Striding Edge, or walked atop the Langdale Pikes, or marvelled at the views from Pike o’Stickle into Great Langdale and Mickleden, will never forget Westmorland. It has been the backdrop to so many of our treasured memories, whether ascending mighty Fairfield or relaxing by the lakeside at Bowness. It was the mountains which drew the Lakes Poets – Wordsworth, Coleridge, De Quincey and the rest – to gain their inspiration in Westmorland. It was the mountains which attracted Wainwright and an army of fell walkers behind him. And it will be the mountains, brooding in their russet finery, that remain as an enduring symbol of Westmorland, the loveliest county in England. The wild flower charity Plantlife recently announced a list of flowers for all our counties. They gave Westmorland the Alpine Forget-me-Not. How wonderfully appropriate. It may not be on maps and road signs nowadays, but it still exists secure in its historic borders. We should never forget the beauty, history and culture that together are Westmorland. (A version of this article has previously appeared in Lake District Life magazine).